GRETNA – A man is suing a local clinic and nurse practitioner for allegedly misdiagnosing his appendicitis. Calvin U. Brown, and wife Trena, filed suit against Sherida Jackson R.N., N.P., Jefferson Parish Hospital District No. 1, West Jefferson Medical Center and the Family Doctor’s Clinic in the 24th Judicial District Court on April 11. Brown asserts he had been a patient of Jackson, a nurse practitioner, at the Family Doctor’s Clinic for two years. The plaintiff claims in March 2010 his primary care physician Dr. Bertha Daniels was working at the Family Doctor’s Clinic, that also served as a walk-in urgent care facility staffed by Jackson from 4 to 8 p.m. when Brown’s wife called on March 10 to tell them he had been suffering from abdominal pain, nausea and hiccuping for a day. Daniels scheduled an appointment with him for March 12 and asked him to pick up a stomach medication, all allegedly without looking at Brown’s chart. Brown alleges that he took the stomach medicine for acid reflux, although he had allegedly never been diagnosed with the condition before, during which time he was unable to eat or have a bowel movement. The plaintiff asserts his wife called the clinic the day after the first report claiming that he had not gotten any better and requesting a call back from Jackson, which he claims never occurred. Brown claims the following day during his appointment at the Family Doctor’s Clinic his condition had worsened, but he was not allowed to be examined by a physician and instead Jackson saw him who allegedly did not perform a physical examination or inspect his stomach. At the time of his appointment a lab technician was allegedly unable to draw blood from the plaintiff and he was not sent to the emergency room to have further observation. Brown alleges that on March 15 his condition, which included vomiting, got much worse and he was taken to West Jefferson Medical Center emergency department where it was found that his appendix had ruptured and intestines had twisted. The situation required surgery and a two-week hospital stay that he claims would have been lessened had his condition been properly diagnosed to begin with. 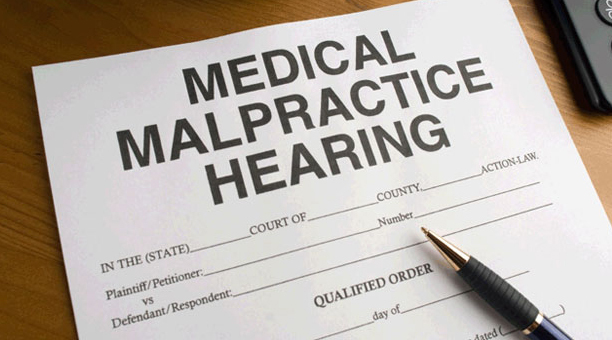 The defendant is accused of failing to properly evaluate the patient, failing to contact supervising physician, performing an incomplete and untimely workup of the patient’s complaints, failing to consider possible intra-abdominal complications and not properly diagnosing the patient’s appendicitis. An unspecified amount in damages is sought for pain and suffering, loss of enjoyment of life, diminished quality of life, mental anguish, emotional distress, medical expenses, lost wages, loss of household income and attorney’s fees. Brown is represented by Sherif K. Sakla M.D. of the New Orleans-based Sakla Law Firm APLC.